He described it as a very sporty looking four door sedan that looks a little bit like a Corvette. I told him it looks like the Batmobile. 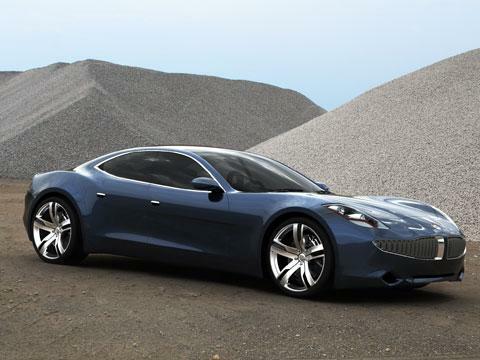 The Fisker Karma is a $100,000 hybrid car that can run entirely on electric power or electric combined with gasoline. The battery pack runs down the center of the car, so it has four bucket seats, and is classified as a sub-compact because the interior space is so limited. "The electric car Fisker Karma is powered by a two 150kW (204 horsepower) electric motors. The lithium ion battery cells can storage power of up to 20 kWh. 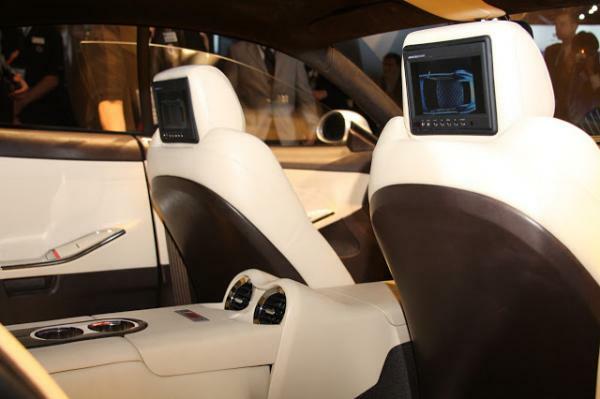 Pure electric, the range of the car is 80 kilometers (50 miles). If the battery is low you have available a technology called Range Extender (Range Enver Longer) which will increase the range of car to 403 km (250 miles). Range Extender is a turbo-petrol engine with 2 liters capacity and 191 kW (260 hp). Overall the Fisker Karma electric car has a range of approximately 483 kilometers (300 miles) and a top speed of 201 km/h (124 miles per hour). The Fisker Karma has a price starting from € 101,800 ($131,754) including VAT." Only a couple thousand of them have been made, including the 12 or 16 were in port in New York and suffered the slings and arrows of Hurricane Sandy. They shorted out in all that water and burned up. I think it's cute! I like that it's energy efficient, though spending $100K on a car to save a couple hundred a month on gas doesn't really add up to me. I love the way it looks but no, thank you. We see some interesting cars here in Las Vegas, land of extremes. Alternative fuels need to be more affordable than the conventional. It does look good tho! It's odd, isn't it? Most of us think in terms of the hybrids to save on gas, but that doesn't apply in this case. Not a convertible--not red--I don't want it! I hadn't thought about a convertible. I guess if you can afford a car like that, you can afford the speeding tickets that go with it. It's more of a gimmick that the zillionaire movie stars would have as a novelty six or seventh car.